Just because you purchased a pre-owned wedding gown doesn’t mean you can’t put your own stylish spin on your wedding look. There is no doubt who the center of attention will be on your wedding day, but it’s the small, personalized touches that take a wedding ensemble from beautiful to spectacular. Small, personalized touches take a wedding ensemble from beautiful to spectacular. Wedding dresses with custom embroidery is a growing trend. Meghan Markle’s wedding veil was embroidered with the flowers of the 53 English Commonwealth countries. Chiara Ferragni’s Christian Dior wedding gown (the second one. Yes, there were two) featured embroidered images that told the couple’s love story, complete with a lion representing their son, Leo. There are simpler ways to achieve this sort of customization at Our Story Bridal bridal boutique located in the heart of New York City. We have also embroidered blue hearts on the inside of the bodice, the wedding date at the hem or incorporated fabric from a loved one’s old wedding dress into the lining. A custom wedding dress label with the your name and wedding date, perhaps in the signature color of your wedding celebration is a sweet way to make a sample wedding dress “yours.” You don’t have to worry about ruining your dress or it’s consignment potential. We make removable tags so you can keep it forever, even if your dress has made its way to another bride’s closet. Personalization doesn’t have to be difficult, labor intensive or expensive. Wedding shoes are one of the ways a bride makes her style statement. Whether it’s a pair of crystal Jimmy Choo stilettos or white Converse high-tops, customizing the soles of your wedding shoes increases your style factor. Wedding shoe decals allow you to add things like a meaningful message or your married name and wedding date to the bottom of your shoes. Embossing a custom message on the soles is also a bespoke way to incorporate a special message into your wedding day attire and any cobbler should be able to help you achieve this. There are enough accessory options to warrant a separate post! 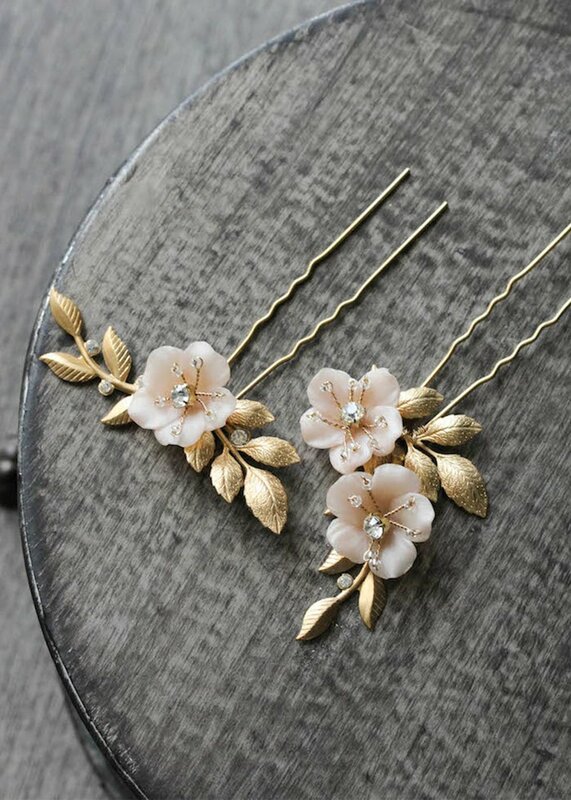 While you want to keep it simple when it comes to choosing your wedding day accessories, think of a way to incorporate your everyday style into your look. If the weather will be cool, choose a wrap that is reminiscent of your everyday style. Are you forever in a headband? Why not try a crystal halo headpiece or jeweled hair pins? Always known to have a beautiful handbag? Carry a spectacular clutch to your reception to stash tissue, lipstick and blotting papers. Have more questions, feel free to visit our website or contact us directly!